In 1908, Rav Abraham Isaac ha-Kohen Kook dreamt of a new Jewish culture springing from a Judaism rerooted in the land of Israel — a renewed Judaism, based on new circumstances. Every generation of Jews finds itself faced with Rav Kook’s question: How do we sanctify our new circumstances? Deuteronomy instructs us: “Remember the days of old; consider the years long past.” (32:7) We should not, in our innovative rush, lose touch with our history. Standing connected with our past and our future, we can become links in a timeless chain. For this reason, while I and the other students pursuing ordination at Yeshivat Maharat push for a future of female spiritual leadership within the Orthodox community, we also connect ourselves back to historical Jewish female figures. We draw on the courage and strength of women in the Bible and Talmud, as well as more recent figures, such as Asenath Barzani of Kurdistan and the Maiden of Ludmir, who led Jewish communities in the seventeenth and nineteenth centuries, respectively. In this same way, Rav Kook describes his new work “standing together” with the work of his predecessors, breathing new “light and life” into their efforts. The chidush of a Torah scholar is not created out of whole cloth from the scholar’s mind. It is a new reading of prior sages, without abandoning even a word of their wisdom, and only occasionally reinterpreting those words. It stands linked to the past, coming from within “the tent of Torah,” in Rav Kook’s words. Yet it plants that tent in a new reality, with a perspective that keeps pace with the times. And it testifies to a belief that the holiness of our heritage is proven through its ability to survive the tests of time and progress. I am struck by Leah Sarna’s description of chidush as “a new reading of prior sages, without abandoning even a word of their wisdom, and only occasionally reinterpreting those words.” In Conservative Judaism, the movement in which I am now studying to be a rabbi, we abide by a halakhic system thousands of years old. And yet, we sometimes reinterpret the words so radically that the original words are hardly recognizable. We’re not the first to do so. The rabbis who wrote aggadot and midrashim (fables, stories, interpretive arguments, exegeses) were just as radical millennia before us, putting into place complex and fragile systems of interpretation. For example, the talmudic Rabbi Eliezer teaches, “One who makes his prayers fixed (“kevah”) has not made supplication.” (Berakhot 29b) And Rav Yosef, in the same passage, concludes that “kevah” refers to one who cannot innovate (“l’chadesh”) even a word or element in prayer. The necessity to individuate and still remain in relationship is pivotal to human maturity — no less so for spiritual maturity. Chidush has the potential to be both an act of individuation and the deepening of a relationship to tradition at the same time. Leah Sarna’s assertion that Yeshivat Maharat is pushing the envelope today demonstrates precisely the essence of Rav Kook’s aspiration for the old and new to work in concert with one another. To meet this challenge meaningfully, we should recognize that radical religious change is not necessary. A rising generation of American Jews continues to find meaning in the very same rituals of generations past. But it would help if rabbis and cantors would become curious fellow travelers, imbibing the culture of those they serve and curating experiences that reflect these patterns. For example, we might invite people for Shabbat dinner through a dating app, or serve flavors of the Old World as cocktails, or use the Jewishly inflected television show about a trans family, Transparent, as an entry point for discussing Jewish identity and memory. When we return the Torah to the ark, we sing: “Chadesh yameinu k’kedem” (often translated as “Renew our days as of old”). The root of the word “kedem” — kuf, dalet, mem (מדק) — builds words such as “kadmonim” (ancestors), “kodem” (before), and “kadimah,” (advance), a command we shout when we want children and friends to hurry up. Perhaps we should think of this verse as a prayer for creating “our days anew,” recognizing that our pasts and our futures are intertwined. 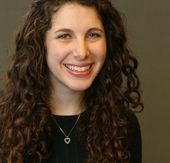 Leah Sarna is a student at Yeshivat Maharat, a Wexner Graduate Fellow, and a congregational intern at the Hebrew Institute of White Plains. BronwenMullin is a playwright, composer, educator, and rabbinical student at the Jewish Theological Seminary. 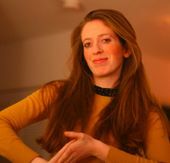 She currently serves as the rabbinic intern for Town & Village Synagogue, where she launched their Artists’ Beit Midrash. To explore Jewish spirituality and push the boundaries of Jewish sacred texts through the arts, contact her at: bronwen@tandv.org. 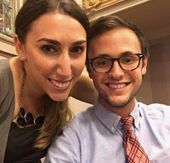 Shanna Zell is a fifth-year cantorial student and Matt Green is a fourth-year rabbinical student at Hebrew Union College-Jewish Institute of Religion. They both intern at Congregation Beth Elohim in Brooklyn, where they are also the co-directors of Brooklyn Jews, a community of young Jewish seekers.